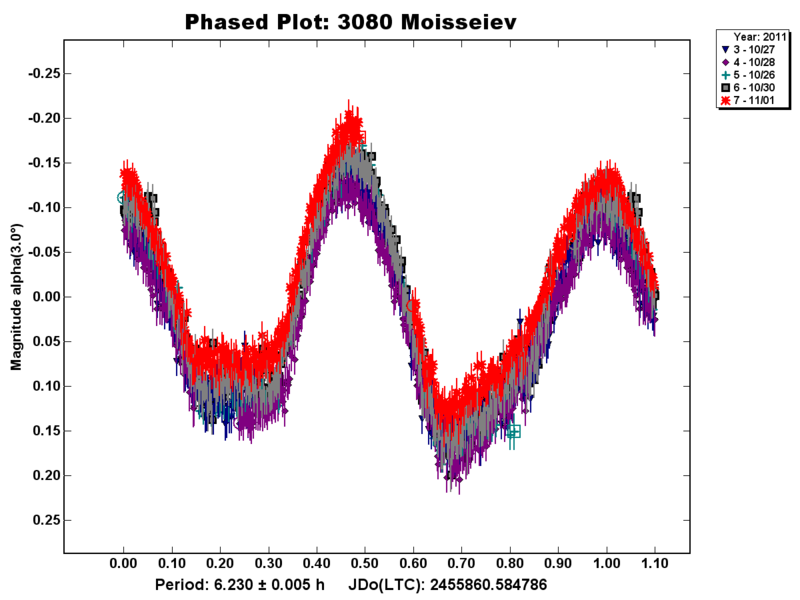 The Etscorn’s computer controlled telescopes and CCD cameras are being used to determine the light curves of asteroids. 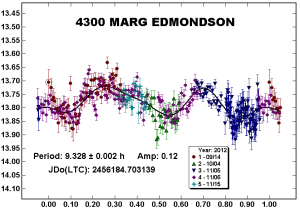 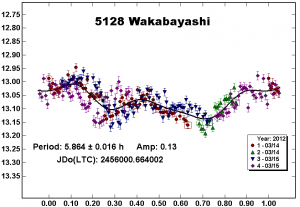 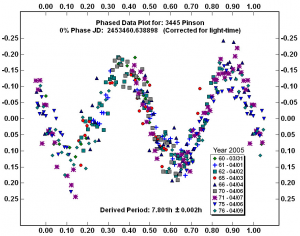 Click on the asteroid name to see basic information and a thumbnail of light curve. 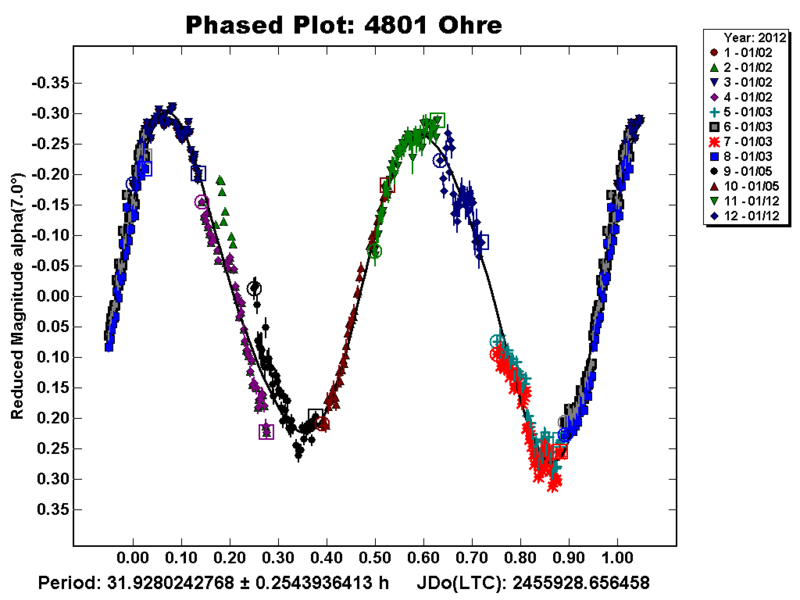 Click on the thumbnail to see the full resolution graph. 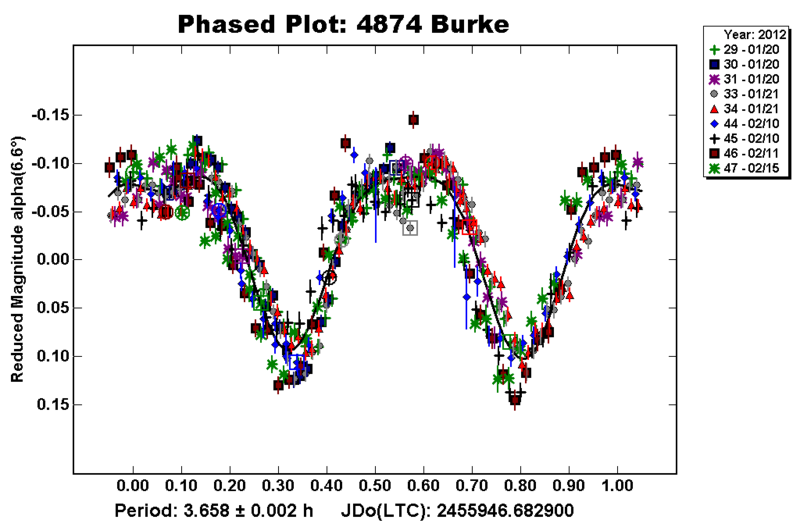 Observers: Baker, R. E., Pilcher,F., Klinglesmith III, D. A. 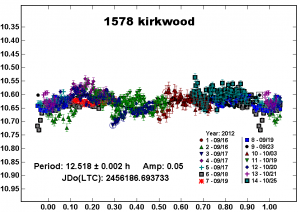 Observers: Durkee, R. I., Klinglesmith III, D. A., Warren, C., Briggs, J. W.
References: Klinglesmith, D. A.; Jamieson, Q.; Pilcher, F. (2005). 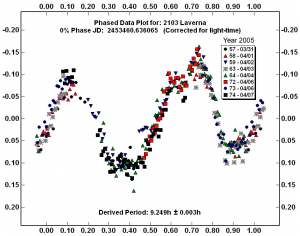 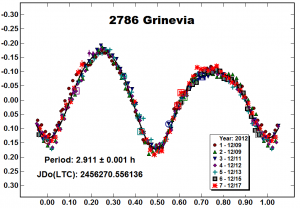 “Lightcurves and Periods for Asteroids 2103 Laverna and 3445 Pinson.” Minor Planet Bulletin 32, 75-76. 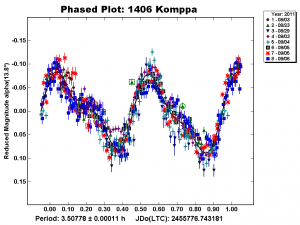 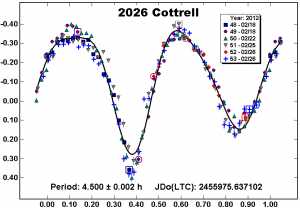 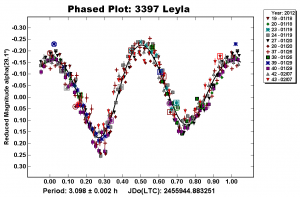 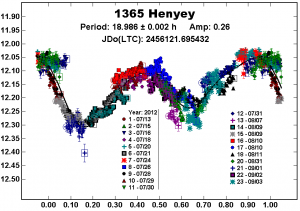 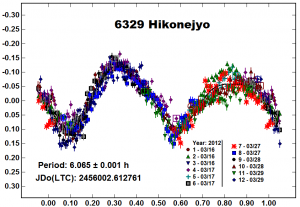 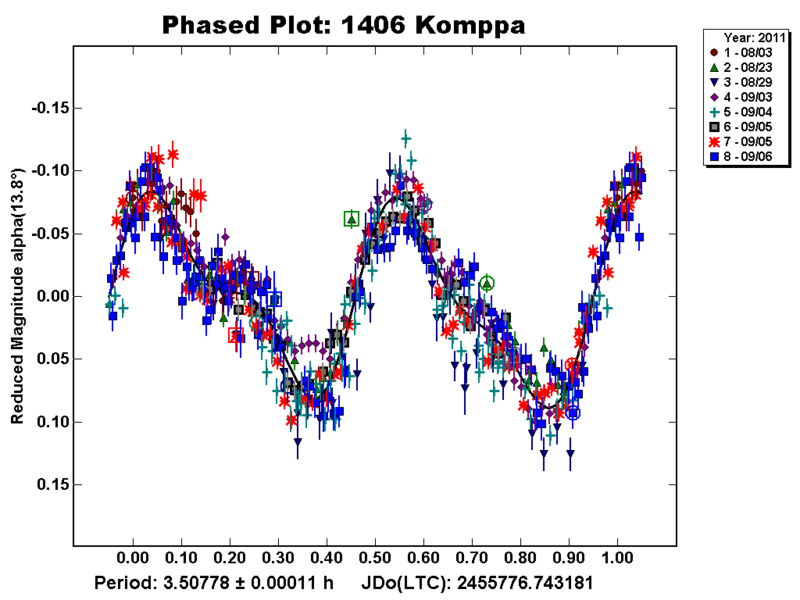 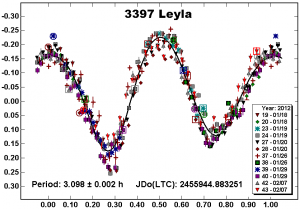 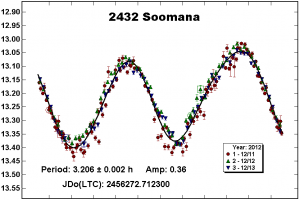 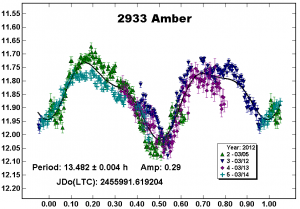 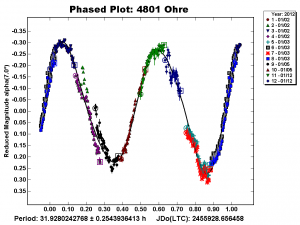 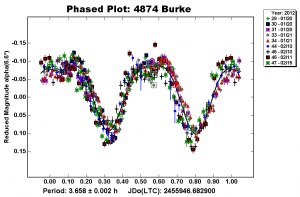 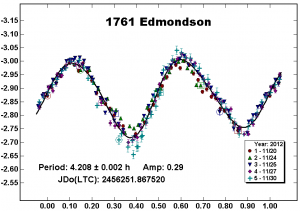 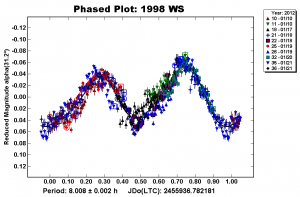 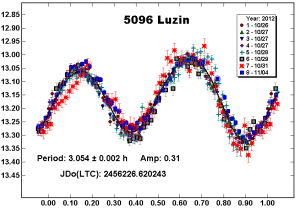 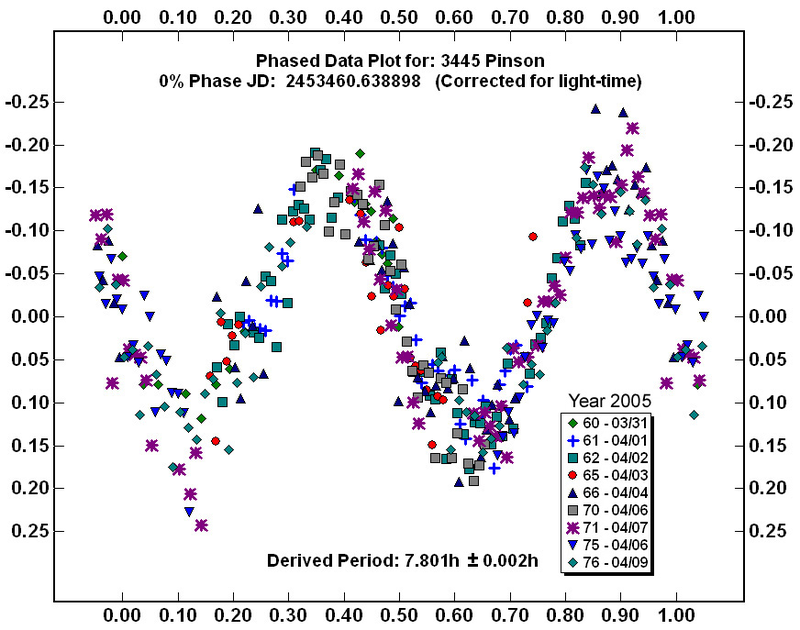 References: Klinglesmith III, D. A., “Asteroid lightcurve analysis at the etscorn campus observatory for January and February 2012”, Minor Planet Bul., in press. 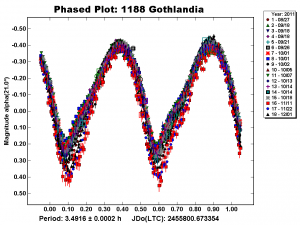 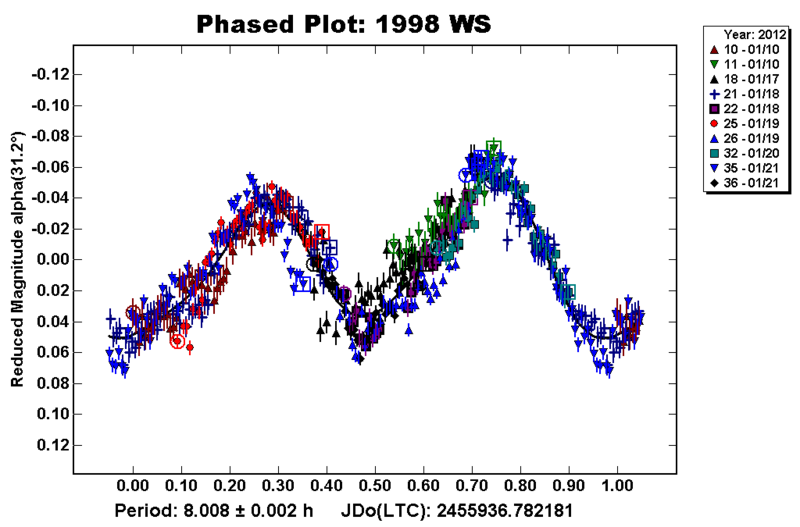 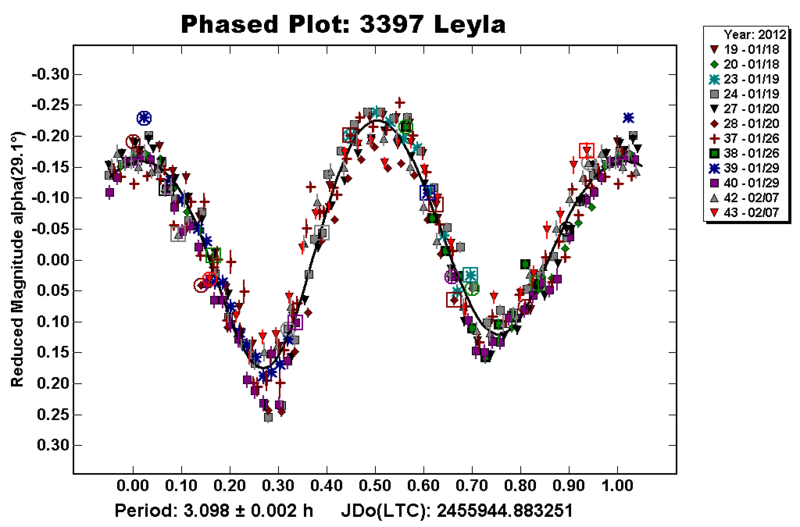 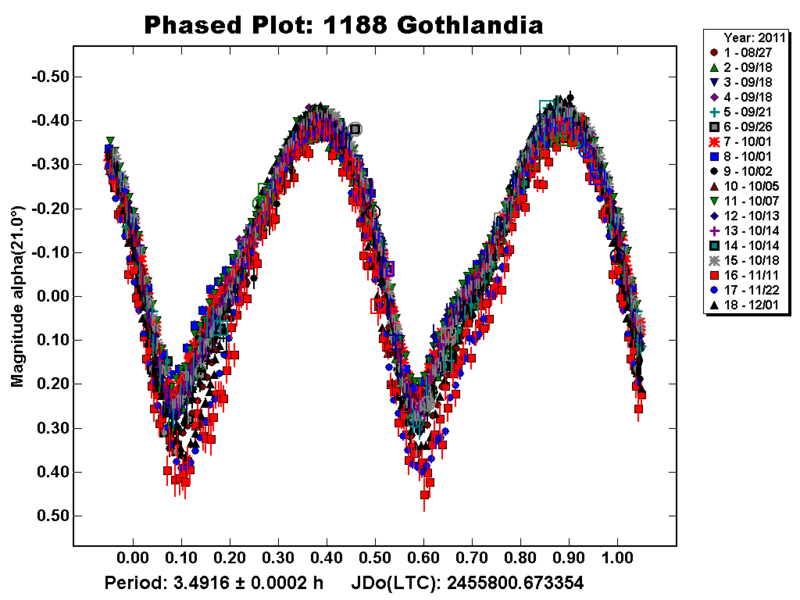 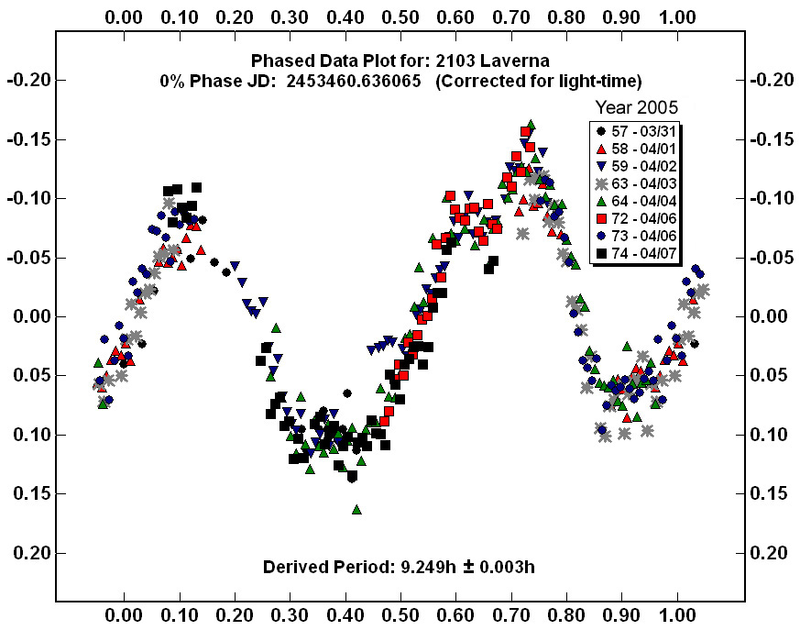 Klinglesmith, D. A.; Jamieson, Q.; Pilcher, F. (2005), “Lightcurves and Periods for Asteroids 2103 Laverna and 3445 Pinson.” Minor Planet Bul., 32-4, 75-76.